Have you visited The Pop-Up Emporium yet? This cute little pop-up shop is happening at 1119 S. St Mary’s St in San Antonio, Texas, and it’s a great place to pick up some local art, antiques, and unique furniture pieces. Best of all, 10% of all proceeds benefit benefit Contemporary Art Month! The Pop-Up Emporium is in it’s final days, though. Be sure to stop by before it closes this Sunday, March 10, 2013. 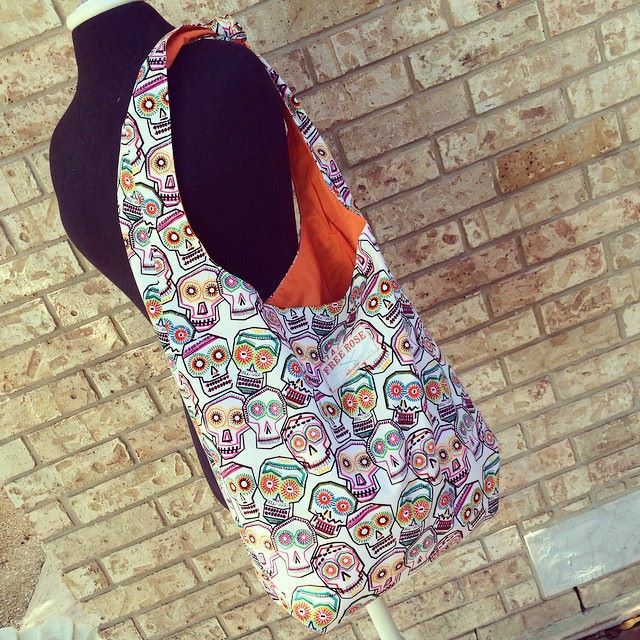 I have all of my ready made items displayed there, and I just dropped of two new Essentials bags (pictured below), and a handful of flannel cloth diapers/burp rags. I have to give a huge thank you to my friend Greg Mannino, for letting me know about this wonderful event. It’s wonderful to have had so many people view my work! Visit the Southtown area this weekend, enjoy Luminaria on Saturday night, and check out this great pop up shop. Holiday Crafting Challenge-Are you in? I’m coordinating a fun, end of year crafting challenge for some friends, and I thought I would share it here in case anyone would like to play along! At the end, you will have (at least) 7 handmade items that would be perfect holiday gifts for family and friends! I say at least 7, because some of these projects are so cute you’ll want to make more than one! Holiday Crafting Challenge #1: Braided Gifts! Share your photos starting September 29, 2012! Option One: Make It and Love It has this amazingly cute tutorial teaching you how to turn old t-shirts into braided headbands. I love the upcycling aspect! It’s a really versatile technique. You could easily glue the strips of t-shirts together to make them longer, and apply this same concept to make a bracelet, or straps to a bag, or a belt . Use a buckle, or make it extra long so it can wrap around and tie. Check it out here. Option Two: Sew, Mama, Sew takes it up a notch by using leather and rope to make this classic nautical belt! Check out this great tutorial here. Think of all the different color combinations you could do this in; I’m thinking of trying it with wide strips of old t-shirts and leather and seeing how that works out. I’d love to see what you come up with! I’ll post the next challenge on Sunday, Sept 30. In the meantime, I need to get to work on my own submission. I look forward to you sharing yours! Post pictures in the comments below, or on the Free Rose Studio Facebook page. Happy crafting!